Have you been arduously searching online to find the finest extension builders Enfield can offer who will be able to transform your home at a price that doesn’t break the bank? If that describes your current situation, then we have good news – you can stop your quest now that you have discovered Firtree Building Services. Our Enfield builders are highly experienced at what they do and guaranteed to complete your project neatly and to deadline. To find out more about everything our respected company can offer you, do not hesitate to call us at your earliest convenience on our Freephone line 0800 270 7764. Home extensions are a fantastic way of adding space to your property and solve many of the issues normally associated with cramped rooms. This is an especially popular choice for young families who are realising that the house seems to get smaller as the kids grow. This is where our extension builders Enfield come in. The cost of moving your entire family into a completely new house is massive and the logistics associated with such an undertaking can be impossible to tackle. This is why homeowners should consider investing into their own property by enlisting the help of top of the line extension builders in Enfield. Our extension builders Enfield possess the skills to find materials that are ideally suited to your existing home décor and will fit in seamlessly. If you would prefer a custom modern and traditional contrast option, then we can also facilitate – just get in touch with our team and we will take it from there. Adding any level of square footage to your property will automatically increase your home’s value if done correctly by a group of experienced extension builders Enfield so you can treat this project as a long term investment rather than a one off. When you pick Firtree Building Services as your Enfield extension builders, then you can rest assured knowing that we will be there every step of the way from the initial architectural planning all the way up to the final handover. On top of being the number team of extension builders Enfield, Firtree Building Services also offers loft conversions. Please visit our gallery to get some more inspiration for your own project. If you are now firmly certain that the Firtree Building Services team is the finest group of extension builders Enfield has ever seen, then there are several efficient ways that you can get in contact with our passionate team of experts. We are open from 8 AM to 6 PM, Monday through to Saturday – please feel free to call us between those hours on our Freephone line 0800 270 7764 or our mobile number which is 07957 574 604. Our Enfield extension builders look forward to hearing from you soon. 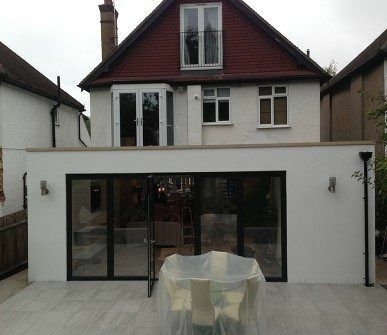 You are now also able to get in touch with our extension builders Enfield via our website. Just fill out our contact form with an overview of your requirements and some contact details – we will get back to you very shortly to answer any questions you may have developed. An alternative way to reach our extension builders in Enfield is via e-mail – please forward your message right on over to info@firtreebuild.co.uk. We will always respond to your query in a timely manner using your preferred method of contact.